Smooth, fresh-looking skin can have a dramatic impact on your appearance and boost your self-confidence. Rejuvena Cosmetic Medical Center offers wide range of skin treatment options to help with almost any issue you may experience. To learn more about our skin treatment options and which one is best suited for your goals, budget and lifestyle, call us today at 405-842-1100 to schedule a personal consultation with Joan Hardt, M.D. Our facility in Oklahoma City welcomes patients from across the state, including Norman and Edmond, as well as visitors from across the country. If you would like to improve the appearance of imperfections and blemishes on your skin, laser skin resurfacing treatments may be an ideal solution. Laser technology has advanced rapidly in recent years, and the results can be truly dynamic. Fraxel: Fraxel light energy rejuvenates skin cells below the skin’s surface by stimulating your skin’s natural collagen production. This process helps to smooth the pockets and creases that cause scars and wrinkles. By only treating targeted areas, Fraxel delivers results that are both focused and effective. CO2 Dot Therapy: Carbon Dioxide (CO2) DOT laser therapy can treat acne scarring and deep creases on the neck and face. CO2 DOT therapy stimulates the production of collagen to create exceptionally long-lasting results. CO2RE: CO2RE is a versatile fractional laser system that enables Dr. Hardt to precisely target and effectively treat your skin’s surface, middle and deep layers in addition to performing traditional CO2 resurfacing. Photofacials use intense pulsed light (IPL) to dramatically improve the appearance of your skin. After a series of treatments with our state-of-the-art Syneron Elos laser, we can smooth fine lines, lessen pores and reduce skin discoloration. The result is beautiful, youthful-looking skin with optimal texture, tone and quality. During your IPL treatment, Dr. Hardt will administer intense pulsed light with a hand-held device built to precisely deliver light to the target problem area. IPL therapy is virtually painless, and you can return to normal activity immediately after treatment. While Elos IPL treatment is frequently used to improve skin quality on the face, it can also be used to improve the appearance of the neck and body. Cutera laser hair removal can be used virtually anywhere where unwanted hair grows, including your face, underarms, bikini line, legs and much more. After a series of quick and painless treatment sessions, you can enjoy permanent results and finally say goodbye to shaving, tweezing and waxing. 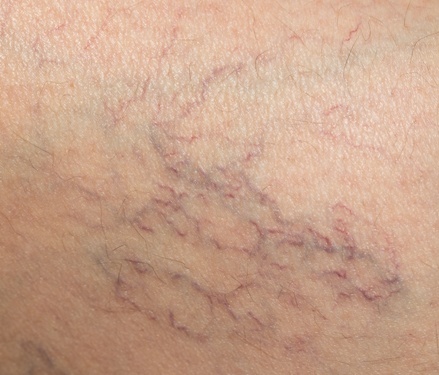 Cutera laser vein therapy safely treats a wide range of issues, from deep blue reticular veins to tiny spider veins to rosacea. The treatment delivers outstanding results to patients of all skin tones, including those with dark, light or tanned skin. Many patients see great results after just one or two treatments, but this can vary. The number of treatment sessions required to achieve optimal results depends on the number, color, and size of the veins being treated. Dr. Hardt will assess your unique situation and let you know what you can expect. For patients with rosacea (an inflammatory condition resulting in redness of the skin and broken capillaries), over-the-counter topical creams, ointments and cleansers are rarely effective. The goods news is that Cutera laser technology alleviates rosacea with minimal discomfort. Laser treatment for rosacea sessions last 30 minutes to an hour, with results generally becoming visible after three to six sessions. Most traditional lasers melt tattoos away with heat energy. However, the PicoSure technology used at Rejuvena Cosmetic Medical Center works by delivering rapid, short pulse energy, called Picosecond technology, to penetrate tattoo ink and break it up into microscopic particles. These particles are then absorbed and eliminated naturally by your body’s lymphatic system. The PicoSure laser requires fewer treatments than traditional lasers and is more likely to eliminate the most stubborn inks. Microneedling, also known as collagen induction therapy, utilizes the natural repair system of your skin to correct an array of common cosmetic skin imperfections. The microneedling process involves the creation of microscopic pinpoint “wounds” in target areas of your skin. Your body’s natural healing mechanisms respond by creating new elastin and collagen, improving your skin’s condition and treating issues such as wrinkles, stretch marks, pores, sun damage, rough skin and certain mild scars. SkinPen® : This is the first FDA-approved microneedling device in the U.S. It is clinically proven to treat a number of aesthetic issues, including facial acne scars for patients 22-years of age and older. EndyMed Intensif: This is the first FDA-approved microneedling device that harnesses the power of radio frequency (RF) technology. It safely treats a variety of issues for all skin tones and color depths. Check out our current specials to see if your favorite treatment is available! Thermage CPT: Thermage uses radio frequency (RF) technology to safely heat the deeper layers of the skin, causing the collagen to contract and tighten while also stimulating existing collagen and promoting new collagen to grow. Endymed Pro: Using RF technology called 3DEEP facial tightening, EndyMed Pro delivers volumetric heating that penetrates the skin to induce collagen production. Elos ReFirme: By combining bipolar radiofrequency and light energies, Elos ReFirme heats the skin in targeted areas, stimulating collagen and creating a firming effect. Nova Threads and Nova Lyft: The Nova Lyft is an FDA-approved thread lift procedure designed to lift the brow, cheeks or improve and tighten the neck line. The treatment utilizes NovaThreads: hypodermic needles preloaded with temporary, absorbable sutures. At some point in our lives, most of us have had had to deal with acne. Unfortunately, the struggle is worse for some than for others. Rejuvena Cosmetic Medical Center is proud to offer safe, effective and proven acne treatment with the Elos acne treatment laser. This state-of-the-art technology can effectively address persistent acne that average skincare products cannot correct. Acne occurs when a sebaceous oil gland surrounding a hair follicle becomes clogged, most commonly because of dead skin cells and excess oils. 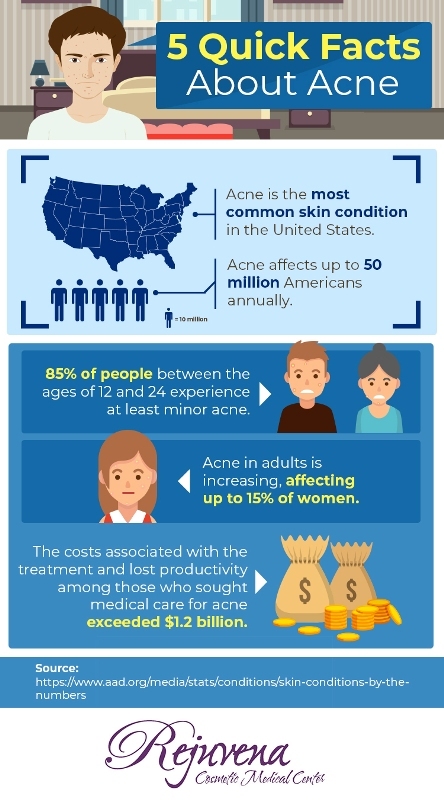 As a result, this area becomes a breeding ground for bacteria and causes the infection we call acne. The Elos laser was designed specifically with this in mind. By using both blue pulses of light and bipolar radio frequencies, Elos treatment targets acne-causing bacteria and eliminate them. Additionally, the Elos laser slows the production of sebaceous oils, which means that the treatment not only destroys acne, but also helps to prevent it from coming back. Dark circles under your eyes can make you appear tired and years older than you actually are. These dark circles can results from a variety of causes, including skin laxity, high sodium intake, hormonal changes, allergies, stress and natural aging. Sometimes, dark circles and eye bags are caused by a loss of facial volume. Depending on the nature and extent of your condition, Dr. Hardt may recommend a cosmetic injectable, such as Juvederm Volbella, or she may determine that Cutera Genesis treatment is appropriate to provide the refreshed, youthful appearance you desire. The Cutera Genesis laser targets the tiny blood vessels that sometimes cause dark circles. The best way to determine which dark under-eye treatment is best for you is to schedule a free initial consultation with Dr. Hardt. During this confidential one-on-one meeting, Dr. Hardt will listen to your goals, assess your condition and recommend the treatment that best meets your needs, budget and lifestyle. If you are unhappy with the appearance of your lashes, Latisse can help you get the dark, full, long eyelashes you desire. Latisse is an at-home prescription treatment that you apply daily to your upper lashes to improve their appearance over time. For the treatment, Dr. Hardt will provide you with sterile applicators to safely apply Latisse in the comfort of your home. Final results are typically achieved after about 16 weeks. During your initial consultation, Dr. Hardt will determine if Latisse treatment is right for you. Moles are dark spots or irregularities found in the skin. Moles can be raised, flat or rough. They come in various shapes and sizes, but they are usually round or oval with a smooth edge. They can form alone or in clusters. Whether you want to have your mole removed for aesthetic reasons or as a precautionary measure, Rejuvena Cosmetic Medical Center can help. As an experienced physician, Dr. Hardt pays special attention to your health and wellbeing in addition to your aesthetic goals. She will examine your mole or skin tag and discuss your medical history. Has your mole increased in size or changed in color? Does it have irregular edges or any associated bleeding? She will discuss these topics, in addition to the risks, benefits and alternatives of each treatment option during your initial consultation. As with every procedure at our office, your health and safety are our top priorities. Suspicious moles will be sent to the pathology lab to determine if they are benign (not cancerous) or malignant (cancerous). Vibradermabrasion is an advanced alternative to traditional microdermabrasion. Instead of using a gentle spray of tiny exfoliating crystals, the Vibradermabrasion process utilizes textured paddles that vibrate at a very high speed to dislodge the topmost skin cells. Vibradermabrasion treatment effectively exfoliates skin on the face, neck or body. During your consultation with Dr. Hardt, she will explain all of your treatment options and help you determine which procedure is right for you. Wrinkles, age spots, acne scars and other blemishes can mar your natural beauty and make you look older than you feel. As you age, your body’s natural skin cell replacement mechanisms diminish and a thick layer of dead skin cells can accumulate on your skin’s surface. This can make your skin appear dull and unhealthy. Chemical peels can safely help your skin look healthy, refreshed and radiant. We offer a variety of chemical peel options to remove dead skin cells and stimulate circulation to restore your skin’s vibrant, youthful glow. The best way to determine which skin care approach is best suited for your unique skin needs is to meet personally with Dr. Hardt. She will evaluate your condition and recommend the ideal solution for your situation. To learn how Dr. Hardt can help you achieve your rejuvenation goals, please call Rejuvena Cosmetic Medical Center at 405-842-1100. Whether you live in Oklahoma City, Norman or Edmond, or anywhere else in the country, we want to hear from you.